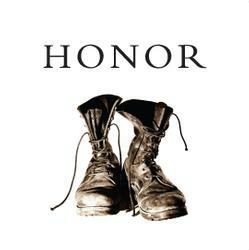 Honor is a bold and powerful wine. Notes of lavender and fresh cherries dominate the nose with bunches of red and black berries following on the palate. The wine has a long and lingering finish of grilled and cured meats, smoke and cocoa. This wine was assembled from two of the most spectacular vineyards in California for Rhone varieties. This wine was assembled from two of the most spectacular vineyards in California for Rhone varieties. The Mourvedre comes from Lake County. This truly unique 5 acre site is planted to Rhone varietals only. T he vineyard sits on a very steep slope near Konocti Harbor where the cool wind that sweeps up from the labek moderates the warm temperatures much like the Mistral winds cool the vineyards in the Rhone Valley. The Syrah and Grenache come from the historic Venturi vineyard in Calpella. The average age of the vines is 60 years and the vines are all head pruned and dry farmed. Both vineyards are farmed using organic processes. For a complete description of the Honor Red North Coast 2010 click HERE. Cold soaked for 5-7 days then allowed to ferment. 75% Neutral French barriques and 500L puncheons 25% new American barriques. Please choose your shipping state from the list below. If your state is NOT listed below, select a state listed below and provide an alternate shipping address in that state during checkout. 1) Select a state listed above and provide an alternate shipping address in that state during checkout. 2) Close this window, and continue browsing our wines. Enter your Email Address and your Username and Password will be sent to you.